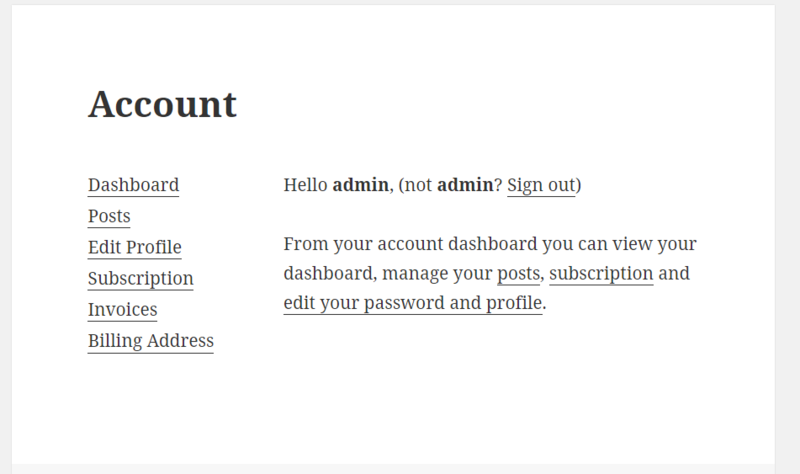 Use simple shortcodes to generate customized individual frontend dashboard for your users. 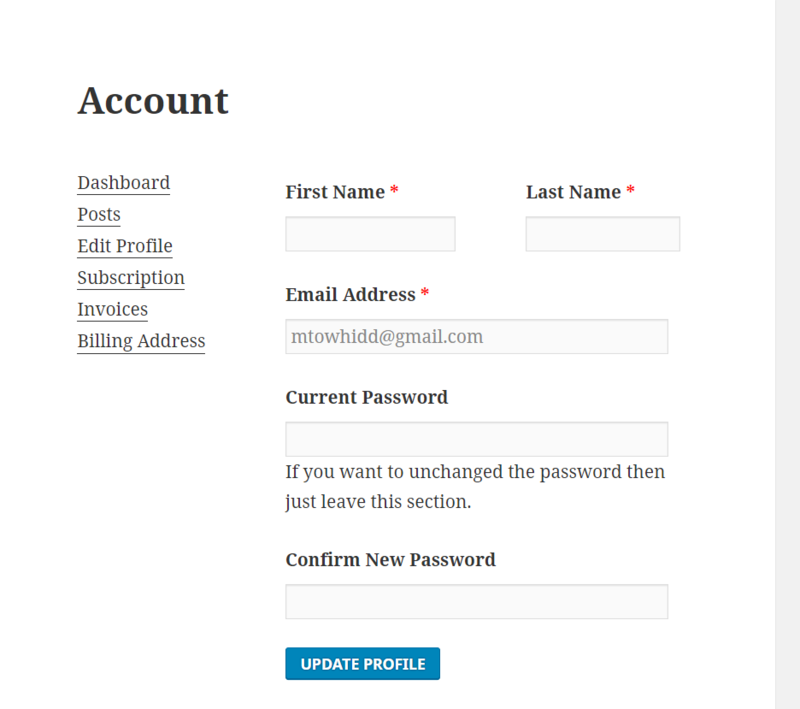 Frontend my account page is very important when you are restricting access to the backend of your site. 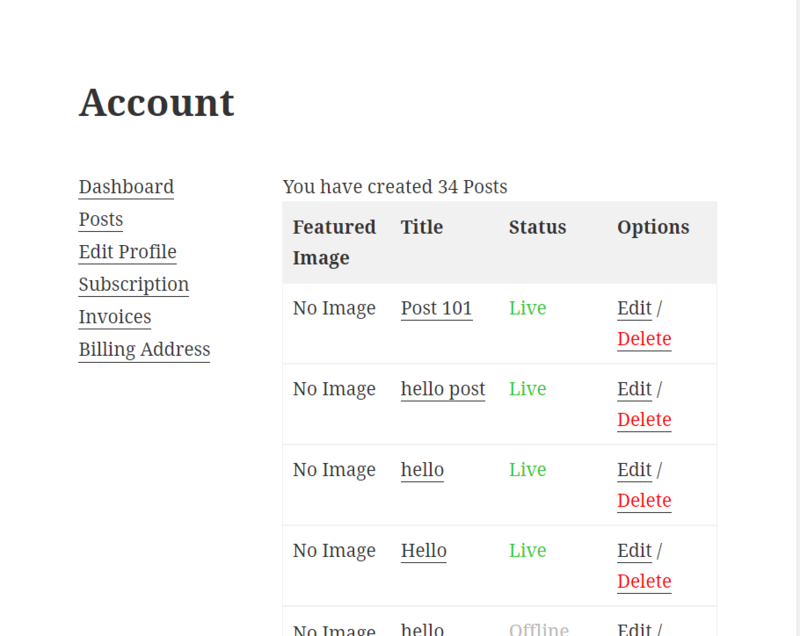 Allow your users to manage their created posts directly from frontend using feature-rich Dashboard. 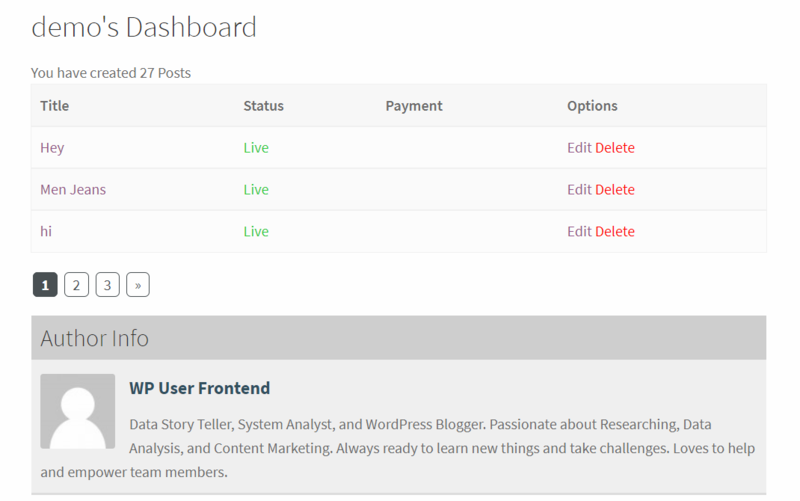 With the frontend dashboard, you give your users a profile editing page from where they can edit their details. 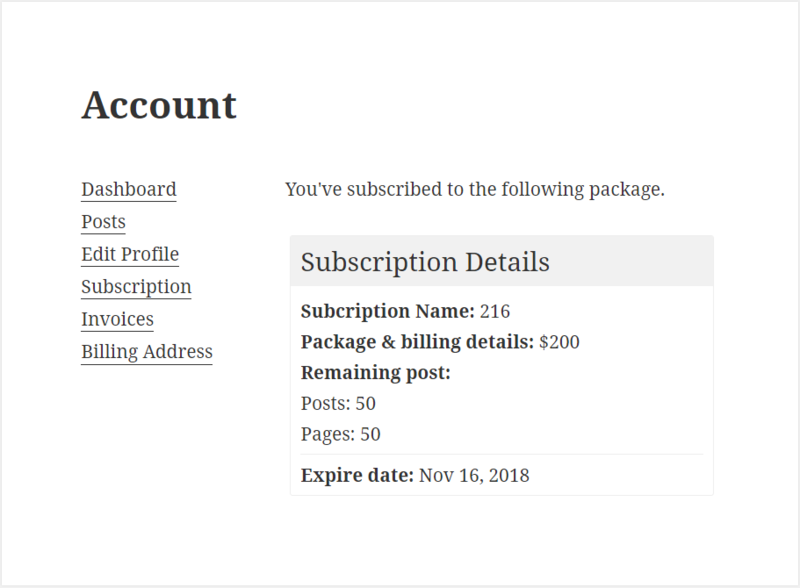 From frontend dashboard users can get detailed information on their subscribed subscription packs. 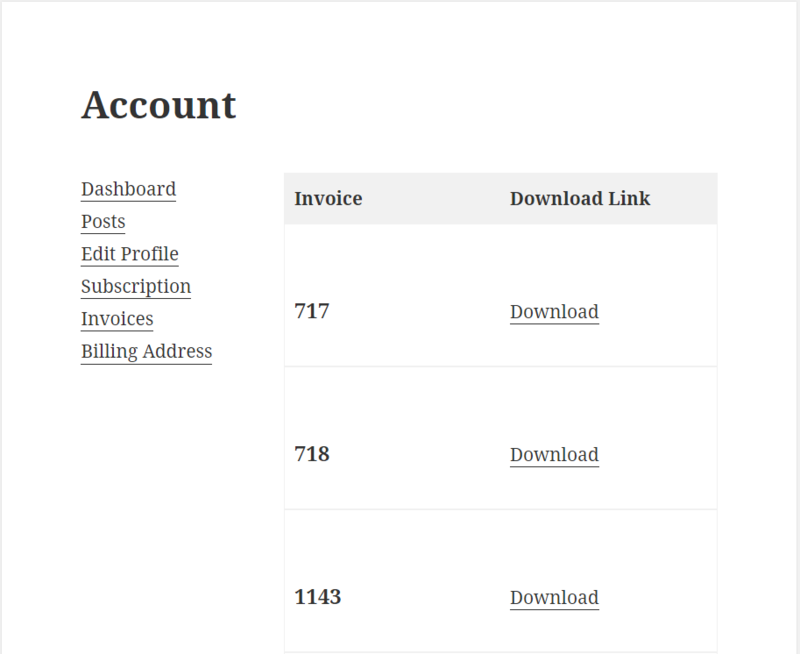 Generate invoices for your subscriptions directly from frontend. Your users will be able to view all their invoices on a single place.